As of February 27, the weekend with Fr. Rohlheiser is full. Please contact us if you would like to be added to the waiting list. Fr. 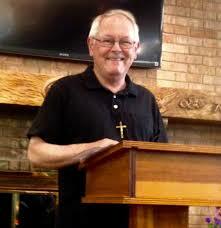 Ron will also be giving a day of prayer on June 15. Most of us live with too many fears in our lives. And all of us live with religious fears, fears about God, about life, and about our eternal destiny. What kind of fear is healthy in our lives and what kind is unhealthy? From where do our religious fears originate? How do we tell healthy fears from unhealthy ones? This retreat will examine the origins and the complexities of religious fear and, after giving fear its proper dues, will examine some biblical principles which invite us to live with less fear. Rev. Ron Rolheiser, OMI, is a Roman Catholic priest and member of the Missionary Oblates of Mary Immaculate. Theologian, professor, and award-winning author, Rolheiser serves as president of the Oblate School of Theology. He holds Bachelor’s degrees from the University of Ottawa and Newman Theological College Edmonton and Master’s degrees from the University of San Francisco and University of Louvain, Belgium along with a PhD/STD from the University of Louvain. Apart from his academic knowledge in systematic theology and philosophy, he has become a popular speaker in contemporary spirituality and religion and the secular world. He writes a weekly column that is carried in over 70 newspapers around the world. Registration begins at 4:00 p.m. on Friday. The first event is dinner at 6:00. The retreat will conclude after Eucharist and lunch on Sunday. Please note that a $25 deposit is required to secure your reservation.